We decided to leave the Keeptender, taking our coins along. Soon we noticed something was sluggishly pursuing us. This silent messenger did nothing but stalk us with its arms extended, attempting to persuade us to return. We accepted the harmless sleepwalker with us, but it better carry its weight! I’ve been reading and rolling around so much that the floor is full of webs and comics. I should probably clean some of these away. 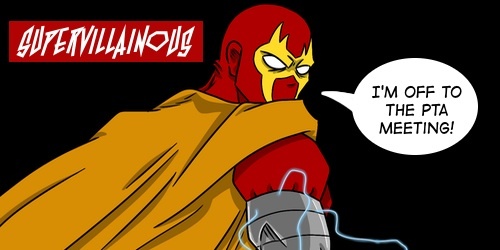 Supervillainous by Zap – The Crimson Claw is a career supervillain. He's got a flying fortress, and army of henchmen, and ill-gotten wealth. He's also got a family – one that he will stop at nothing to protect and provide for. How can he find a balance between villainy and family? 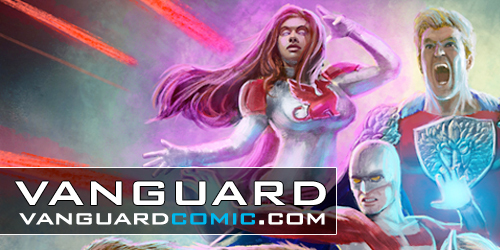 Vanguard by Dan Butcher – In the near future, a small team of genetically engineered meta-human heroes protect our country's interests at home and abroad... they are the VANGUARD.